Patients must always be assigned to one care plan. To change a patient's care plan, you must reassign them a new care plan. 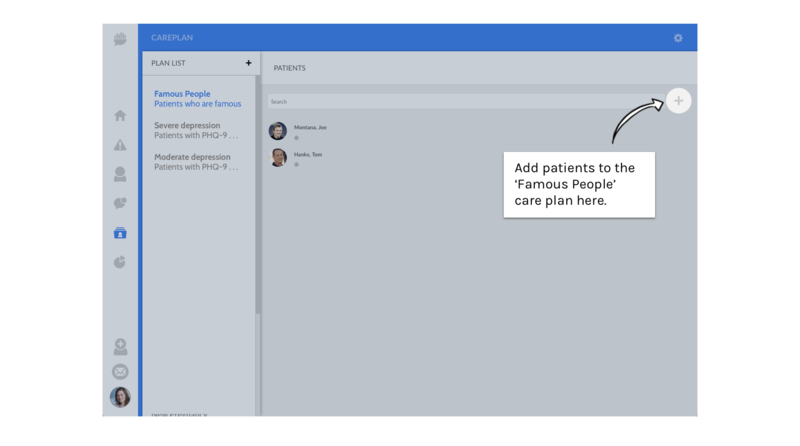 Navigate to the Care Plan page in the care manager dashboard. From the plan list, select or create the care plan you would like to assign the patient to. Assign the patient to the selected care plan.